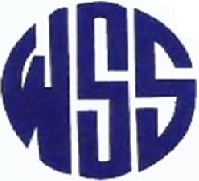 Whitesea Shipping and Supply (WSS) was established in 1981 in Sharjah, United Arab Emirates, by Mr A.S. Alali. Whitesea has owned and operated various vessels, including cargo ships, bulk carriers, multi-purpose and offshore vessels. With well over 30 years of shipping experience, the last 15 years has seen the company concentrate its activities in the off-shore segment of the industry. WSS position in the offshore sector is recently consolidated with deliveries in 2009 and 2010 of newly built, highly specified S Class DP1 AHTS vessels and a Self Propelled Jack Up barge. These vessels boast a high quality build, a strong consideration of crew comfort and are equipped with the most technically advanced systems for propulsion, positioning and cargo handling. The Jack Up barge, one of the largest of its type, leads the field in innovative design maximizing deck space, accommodation and lifting capacity. WSS management team is comprised of multinational, highly qualified and experienced Shipping Executives, Master Mariners, Marine Engineers and Naval Architects. • Assisting the Operation Manager. o To liaise with clients to ensure operational compliance to contracted work scope. o To ensure an efficient and contractually compliant service is supplied to clients. o To ensure that the vessels is supplied with authorized stores, spares, fuel, food and supplies in due time and at a minimum achievable cost, while consistent with required quality. o Ensures the co-ordination of all vessel logistics, supplies, agents, clearances and contract compliance. o He will be responsible for the full cost effective management of entire WSS Fleet. o Undertake Masters Assessments and identify training needs. o Safety and implementation of initiatives that will continually improve operating standards will be of paramount importance. o To develop development operational procedures. o Established crew welfare and disciplinary code is maintained on-board.